Plot: A documentary about Phillipe Petit's exciting but very illegal death-defying tightrope walk between the World Trade Center towers in 1974, with interviews from all the participants and real coverage of the event. 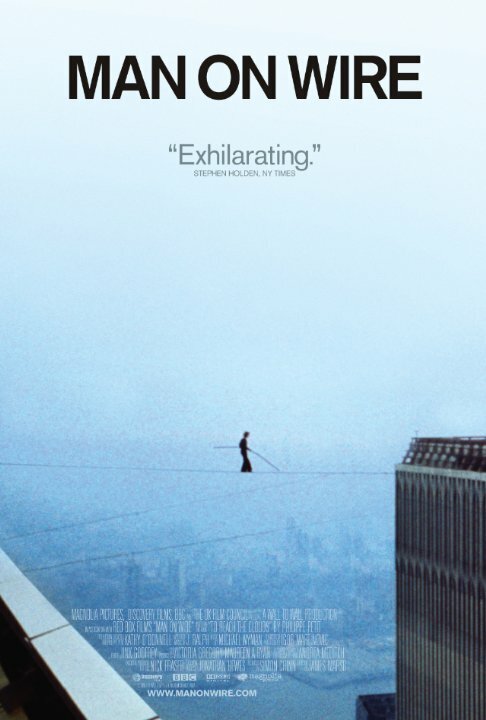 Man on Wire is both brilliant and interesting with Philipe Petit's crazy journey of making he's dream of walling across the line between the World Trade Center come true. Fascinating documentary about Philippe Petit 's relentless pursuit of his dream to perform on a high wire especially rigged for him between the two towers of the World Trade Center. Film is well made. But the main subject here is Phillipe. He surely did very exciting thing, but i felt he was crazy. Anyway watch the film, anyone will like it. No posts have been made on this movie yet. Be the first to start talking about Man on Wire!